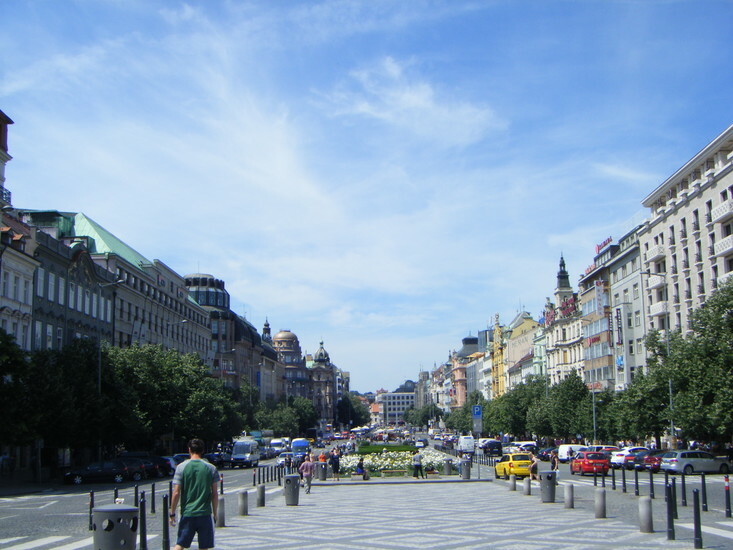 The location of many historic events in Prague and Czech history, Wenceslas Square (Václavské náměstí) is the hub of Prague’s Nové Město. Not a square at all but a long wide boulevard, visitors who have read about the area’s significance may be surprised at the number of tacky shops, casinos and other uninteresting tourist traps. In fact, if you don’t know anything at all about Prague history, you may wonder why you are standing here in the first place. Let’s talk about, and have a closer look at, the square to get a better idea of its importance. 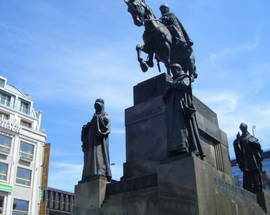 Created during the founding of the New Town by Charles IV in 1348, today’s square is dominated at one end by the National Museum and the statue of the country’s patron saint, Wenceslas, built in 1912. Originally called the Horse Market as it was built to trade horses, the buildings that sprouted around the space included homes, craftsmen’s workshops and breweries. Executions were also held here with gallows set up at both ends. The bottom part was called Na Můstku (today the Můstek metro station is there) and there was a pond and mill. At the end of the 14th century the Horse Gate or Gate of St. Procopius was built as a part of a fortification wall where the National Museum is today. The gate was demolished in 1875. 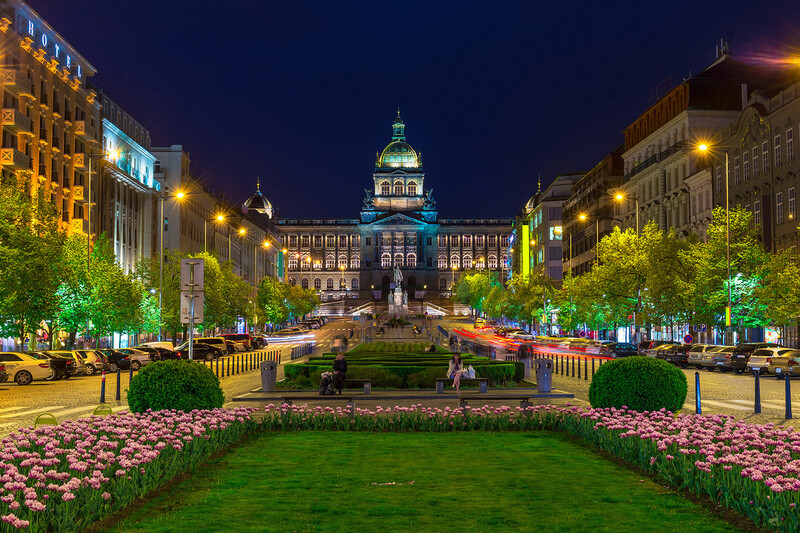 The square was renamed Wenceslas in 1848 and in 1890 the National Museum was built. After World War I, the Square saw its popularity surge and lots of new building occurred like luxury houses, banks, shops, hotels and restaurants. 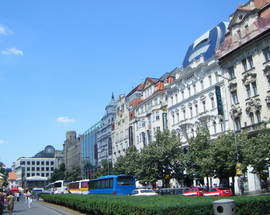 The attractiveness of the area extended into its neighbouring streets including 28. října Street, Národní and Na Příkopě. Trams used to run straight up the square, beginning in 1884 with a horse-drawn one. The first electric tram operation began in 1900 and ran until 1980. 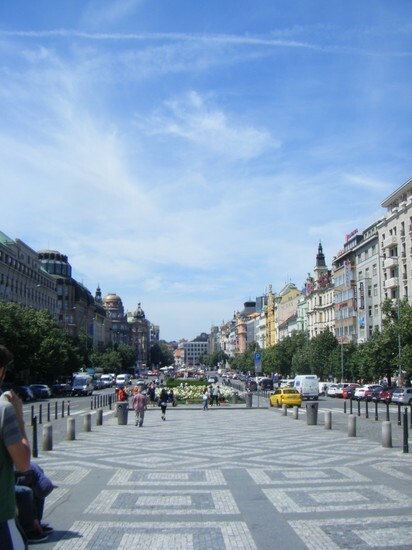 After pulling up the tracks, shrubs and flowers were planted and the move was made to make Wenceslas Square a more pedestrianized area. 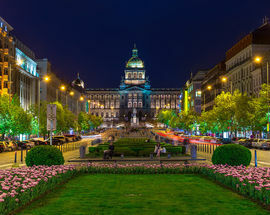 The City of Prague has had thoughts to do some major square remodelling including building a tunnel to relocate the traffic that currently separates the National Museum from the rest of the square to make a larger car-free zone. 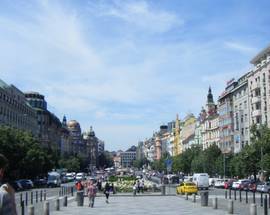 A variety of important events have occurred here including a 1905 demonstration for general voting rights; Czech regiments off to join the war in 1914 left through here and were officially welcomed back in Wenceslas Square. 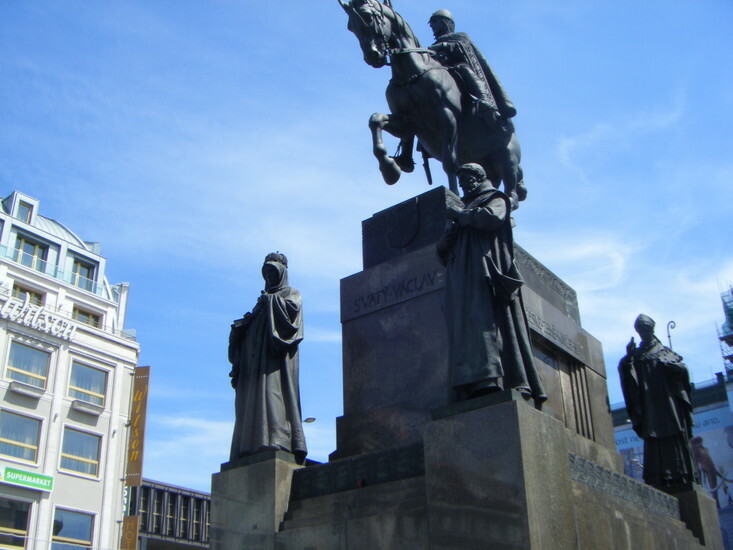 On 28 October 1918 the Czechoslovakian independent state was declared in front of the St. Wenceslas statue while a short time later history went the opposite way with the establishment of the Protectorate in 1939. The communist regime began on 25 February 1948 when a large demonstration was held in support of the communists. The 1969 invasion of Czechoslovakia by Warsaw Pact troops was notably protested by student Jan Palach who set himself on fire on the square. Another student, Jan Zajíc soon followed suit. In 1989, massive demonstrations launched the Velvet Revolution to bring down the communist government. Still today, nearly any march will often start or end in Wenceslas Square. 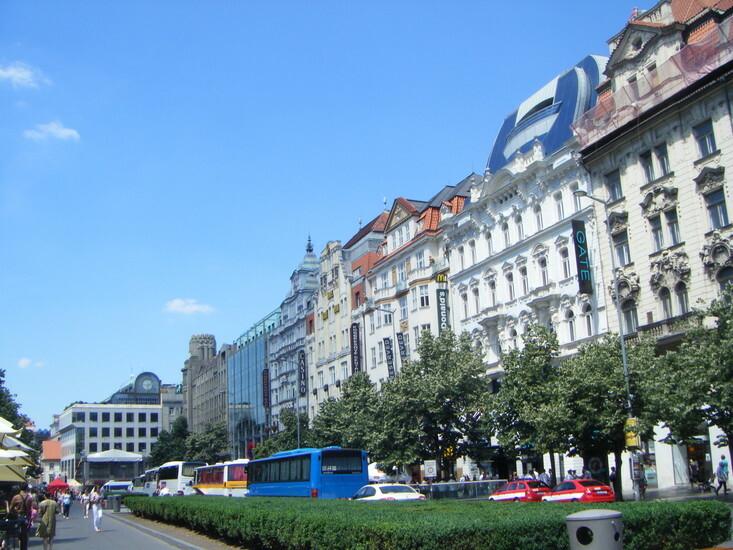 There are still some buildings of note to discover on Wenceslas Square. The Jalta Hotel at No. 45 was built in 1958 to fill a vacant lot left following bombing from WWII. It was built specifically as a hotel and is one of the first examples of Czech socialist realism architecture. In its basement an elaborate listening room was designed to spy on visiting dignitaries from the West. The Jalta Hotel runs occasional tours of the bunker. At No. 25 the Evropa Hotel remains one of the most notable Art Nouveau buildings in Prague. The Melantrich Building at No. 36 was built in the late Art Nouveau style for a printing company. During the 1989 demonstrations, speeches were made from its balcony. Today the building is home to a Marks and Spencer. The Baťa store at No. 6 is one of the most significant examples of Czech functionalism and at the time of its building (1928) was one of the most advanced department stores in Europe. The Adria Hotel at No. 26 is one of the oldest buildings on the square. 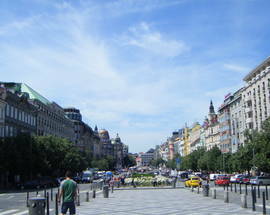 Nice to know: Wenceslas Square is 750 metres long. The upper end is 63 metres wide while the bottom part is 48 metres wide.